I live on Spruce Head Island on the Maine coast and am married to a lobsterman. We have three dogs and one cat. The dogs are my constant companions on the island and love exploring the beaches of our beautiful island each as much as I love looking for sea glass. I have always been the happiest when near the water. 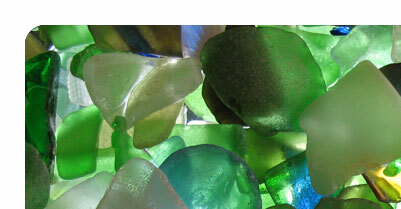 I remember as a child, my sister and I hunted for treasures on the beach. I never outgrew my treasure seeking and now I find my materials on the family island that’s about a 20-minute steam by lobster boat from the mainland. During the summer, I try to spend as much time on the island as possible – digging for clams, relaxing, watching the lobster boats come and go through the Mussel ridge channel and combing the beach for treasures. 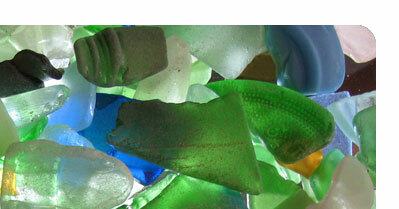 The island inspired me to make the SEA GLASS LIGHTS. 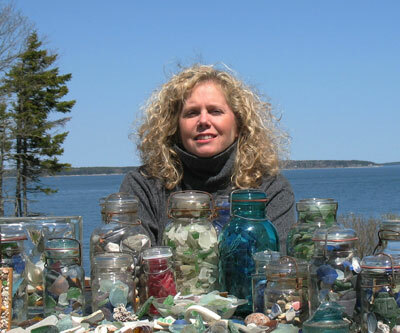 My idea is to capture the essence of my island coastline in a jar to share with you. Each light is a handmade creation, benefiting from my loving craftsmanship and care to bring you all the textures and colors of my seaside family home. Along with your SEA GLASS LIGHT purchase, you will receive instructions for changing the light bulb (in the event you should ever need to) If you are uncomfortable changing the bulb in your light, please feel free to return it to me (postage pre-paid) and I will gladly do it for you!